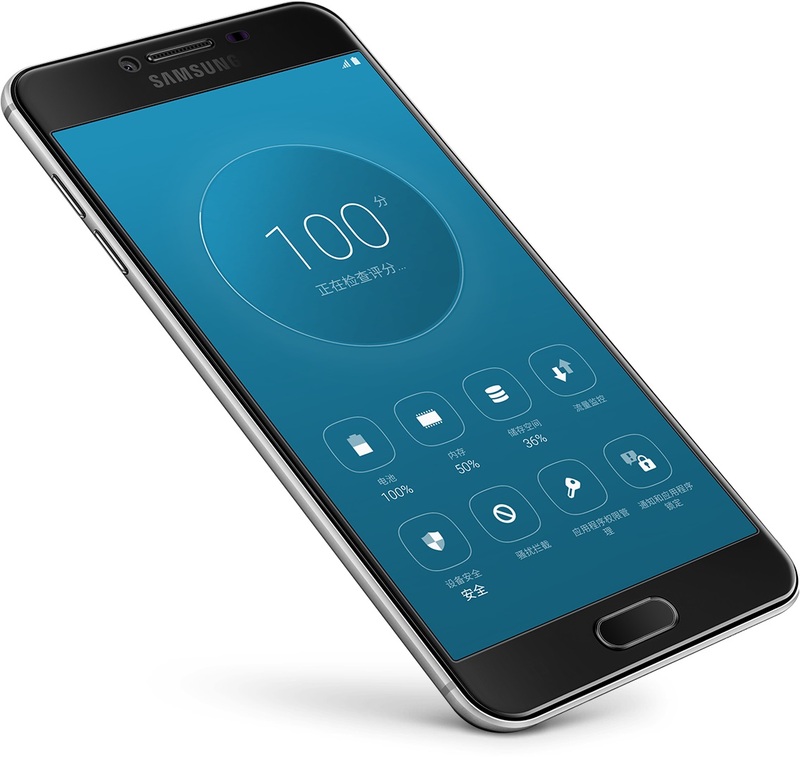 Samsung introduced its new Galaxy C series smartphones for the Chinese market, dubbed the Galaxy C5 and Galaxy C7. The new C series lineup is a mid-range devices with full metal chassis and both phone comes with a fingerprint scanner home button. The Galaxy C5 houses a 5.2-inch 1080p Super AMOLED display, powered by a Snapdragon 617 Octa-core processor (with eight Cortex A53 cores: 4 running at 1.5 GHz and 4 clocked 1.2 GHz), Adreno 405 GPU and paired with 4 GB of RAM. It's just 6.7 mm thick and weighs 143 grams, and runs Android 6.0 Marshmallow. On the other hand, the Galaxy C7 is basically a beefed up version of the C5. They shared the same amount of RAM, camera setup, and wireless connectivity. The C7 sports a larger 5.7-inch Full HD Super AMOLED display and uses a 2.0 GHz Octa-core Snapdragon 652 chipset with Adreno 506 GPU. It will comes in 32 GB and 64 GB of expandable storage options as well as a bigger 3,300 mAh built-in battery. It's also 6.7 mm thick but a tad heavier at 165 grams. The Galaxy C5 and C7 are only released in China for now and will be available in Silver, Black, Gold and Rose Gold. In terms of pricing, the Galaxy C5 carries a price tag of $330 (about RM1,350) while the C7 starts at $396 (about RM1,620).